Company on opening: Hertford, Luton & Dunstable Railway. Notes: The first section of the Hertford Luton & Dunstable Railway to open was between Luton and Dunstable. The line opened to goods traffic on 5th April 1858 and, after several delays to the planned opening to passengers, this finally happened on 3rd May 1858. The town had waited a long time to be connected to the railway network, and huge crowds flocked to the station to travel on the trains. Special cheap returns tickets to Dunstable were available on the opening day, and the first train consisted of 22 coaches which required two engines to haul it. Many of the passengers didn't bother with tickets, and some passengers even travelled on the roof of the coaches as they couldn't get a seat inside. The St Albans brass band travelled on the train to entertain the revellers. 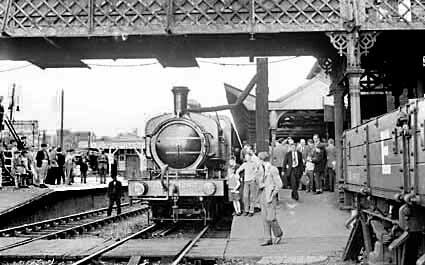 The final train of the day was due to depart from Dunstable back to Luton at 9.30 pm and, although its departure was delayed until midnight, many passengers had to walk home as there wasn't room for them. Luton station had a large forecourt at the end of Bute Street. Approaching the station the GNR coal yard was on the right and the goods yard was on the left. The station building was somewhat austere in appearance comprising a two-storey brick building with a single-storey booking office at the east end. The building also included station offices, parcels office, waiting rooms and, after 1886, a refreshment room. The booking office opened onto platform 1 which served the down line. Opposite this platform there was an island (platforms 2 and 3) for the up line. In later years this had its own waiting room and a police office. Platform 1 had a substantial canopy supported by the station building, while the canopy over platforms 2 and 3 was supported on central metal columns. On the north side of the island platforms there were two sidings used for the storage of freight rolling stock. The station was refurbished in 1876. The goods yard was extensive with four sidings accessed from the east end of the down line serving the coal yard and the Great Northern steam mills. One of the sidings ran into a bay behind platform 1. A further four sidings were accessed from the west, also on the down side. One of these passed through a huge three-storey bonded warehouse, and another served the cattle dock with adjacent pens. There was also a 5-ton crane in the yard. Private sidings close to the station included Arnold & Co., Luton Gas Co., West Hydraulic Engineering Co. and Williams siding. At least four other private sidings were sited between Luton and Luton Hoo. Access to the two yards was controlled from two signal boxes (Luton East and Luton Yard) at either end of the station on the up side. There was also a third signal box, Luton West opened in 1899, some distance to the west of the station on the west side of Bedford Road. with all the raw materials to support the industry arriving by rail and the finished hats being dispatched each evening by rail, mainly to London and Manchester. A single-road wooden engine shed was opened on 3rd May 1858; it is not known whether it was built by the LNWR or HL & DR. It was closed c1861 to be replaced with a brick GNR shed to the east of the station on the up side; this was also short-lived, closing c.1908. After closure the building was partially demolished, leaving just the centre section supporting a water tank; it was demolished in October 1970. There were also two water columns, one on platform 1 near the footbridge and the other at the east end of the island platform. The Midland Railway opened their station at Luton on 13th July 1868 on the extension to St Pancras, the Midland line running parallel to the GNR through Luton. For some years, it was known as Luton Midland Road to distinguish it from the earlier GNR station. The station originally consisted of 3 platforms before modernisation in 1937 saw an additional fourth platform added. 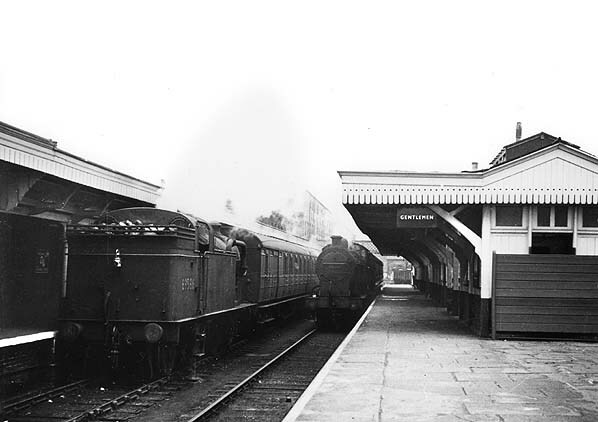 In 1960 a further platform was added for the suburban services to and from St Pancras. 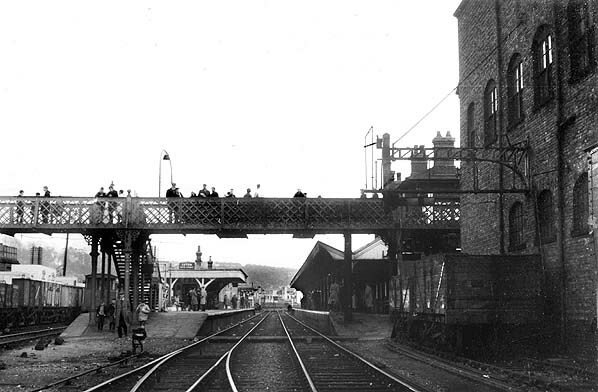 The two stations were spanned by a lattice footbridge which ran from High Town, to the north of the Midland, with access to platforms on both stations before running above the Great Northern forecourt to Bute Street. 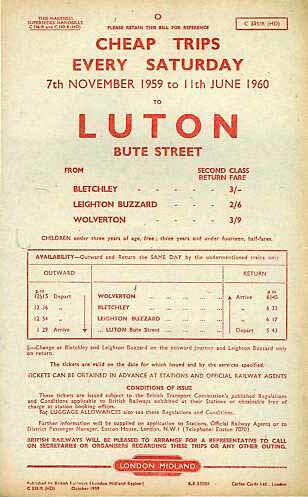 The station was renamed Luton Bute Street for goods services on 1st July 1950 and for passengers on 25th September 1950. 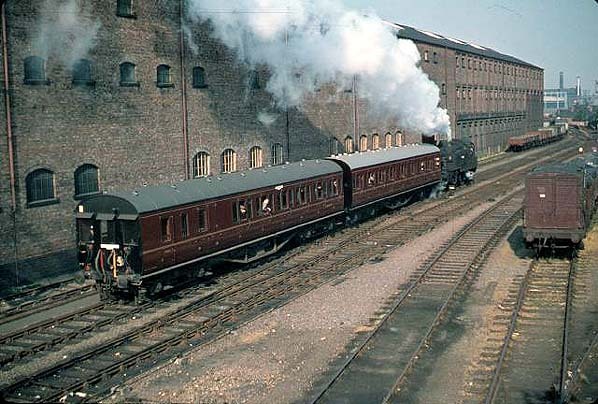 June 1967, although a private siding remained in use after that date. 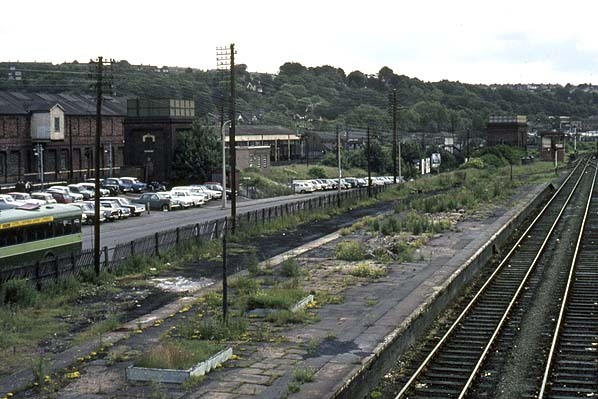 By May 1968 all the station buildings and platform 1 had been demolished, leaving just the island platform which lasted into the early 1970s when it was removed to make way for additional parking for the Midland station. 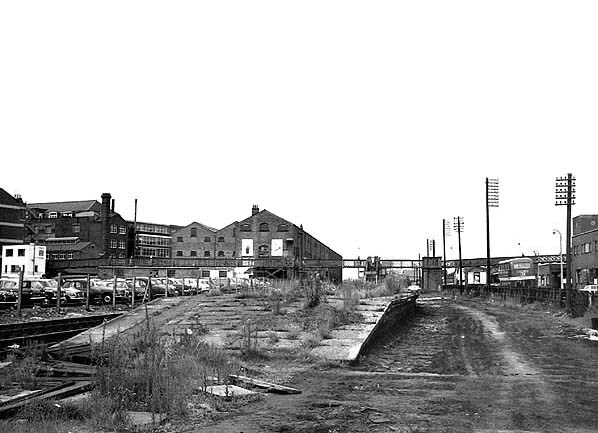 After final closure of the line in 1989 the remaining track through Bute Street was lifted in 1992 to create additional parking, while the remainder of the track into Dunstable was mothballed, the Great Northern warehouse was demolished in 1994. The trackbed through Bute Street will now be used for the Luton - Dunstable busway. The footbridge linking High Town with the Midland station and across the site of Bute Street station to Luton town centre was still in use until early 2011, although the original lattice bridge has been replaced with a modern structure. The council plans to redevelop the area. This included demolishing the bridge which has stood in the same position in one form or another for over 150 years. The proposal met with strong local opposition but the campaign was lost in the spring of 2011 when the bridge was demolished. The redevelopment of the area includes the Bute Street station site which has been a car park since closure of the station. was proposed by George and Robert Stephenson in 1841, and it initially received considerable local support. Although the Luton line was not built in Stephenson's lifetime (he died in 1849), a branch line to Dunstable received Royal Assent on 30th June 1845 with the passing of the Dunstable, London & Birmingham Railway Act which authorised a line between Leighton and Dunstable. Inevitably a meeting was held in Luton to discuss proposals from local businessmen to build a line from Luton to the new line at Dunstable once it was completed. 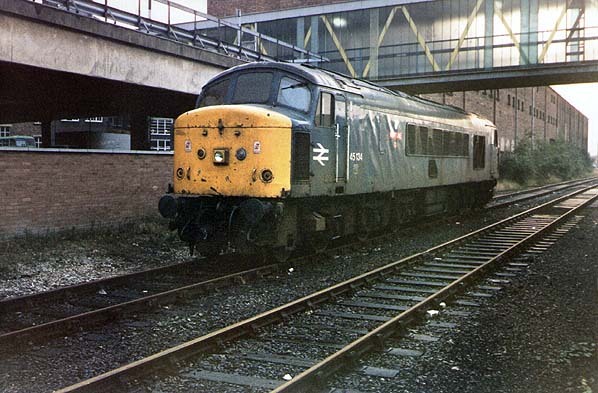 Many people preferred a counter proposal for a direct line between London and Manchester passing through Luton, which would be 14 miles shorter for passengers travelling to London, avoiding the need for a change of trains at Dunstable and Leighton. Another option was to build a branch to the Great Northern Railway's London to York line which was already under construction and would pass 12 miles to the east of Luton. The direct route was chosen as the best option which, at that time, left Luton without a railway while other branch lines in the area were already being planned and built. to build a branch to their line at Hatfield, but this was turned down. during the amalgamation negotiations, and at a shareholders’ meeting on 6th August 1857 it was announced that the first section of the line between Luton and Dunstable was ready for goods traffic. Several goods wagons were fitted with seats to take shareholders along the line. The line was initially inspected on 18th March 1858 and, after a turntable was provided at Leighton at the request of the Board of Trade inspector, the line was passed a month later, with a goods service running from 5th April 1858 and a passenger service from 3rd May 1858; large crowds travelled to Luton station for a day to take part in the celebrations and ride on the new line. LNWR officials on 12th June and another 'special' on 17th July for company shareholders. After passing its Board of Trade inspection, the line between Luton and the Great Northern was opened to both goods and passenger traffic on 1st September 1860 with intermediate stations at New Mill End, Harpenden and Wheathampstead. At this time a Sunday service was introduced for the first time. contractors’ halts were provided at the junction of both the Hertford and Luton lines, close to the site of the earlier Welwyn Junction station. The halt on the Luton line became a public station on 14th August 1920, remaining in use until 20th September 1926 when the new Welwyn Garden City station was opened. service between Dunstable North and Leighton Buzzard was withdrawn from 2nd July 1962 with the last 'Dunstable Flyer', as it had been nicknamed, running on 30th June. Two enthusiasts’ specials travelled along the line after closure, both arranged by the South Beds Locomotive Society: the first on 22nd September 1962 ran between Luton and Banbury and the second, the 'Cobbler Tour', on 19th September 1964, ran from Luton to Leighton Buzzard and on to Newport Pagnell, returning to Luton via the Midland main line. celebrations. The last passenger excursion was on 17th January 1987 when Hertfordshire Railtours’ 'Chiltern Chariot' visited the line running to the Dunstable cement works via the Vauxhall sidings. The line was finally closed to all traffic when trains to the oil depot, on the site of the Great Northern goods yard at Dunstable North, were withdrawn in 1989, by which time the line had just one train per week. Apart from the section through the site of Bute Street station, the track was then mothballed. (previously known as Translink) will link Luton airport and Houghton Regis following the former railway line between Luton and Dunstable and the route of the siding to the Dunstable cement works at Houghton Regis. It will open in 2012. Looking east towards Luton Bute Street station on 14th April 1962. Enthusiasts are waiting on the footbridge for the arrival of a Stephenson Locomotive Society railtour. The gauge goods warehouse is seen on the right. 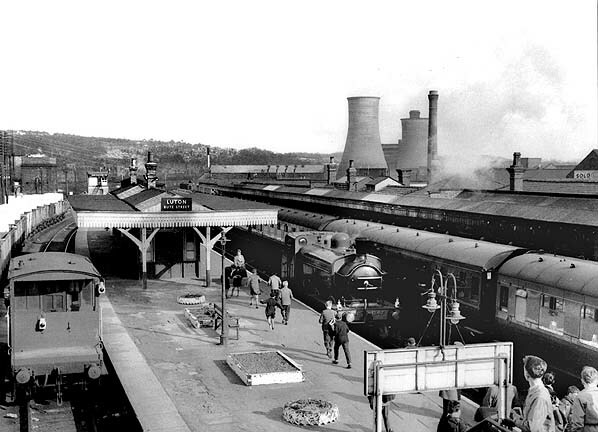 Luton Bute Street station looking east from the station footbridge on 14th April 1962. The Stephenson Locomotive SocietyTour of 7 Branch Lines railtour stands in the platform. There was a change of locomotive at Luton. 1247 hauled the train from Hitchin and is seen on the left. 40646 took over at Luton taking the railtour on to Birmingham New Street. 1247 is a J52, 0-6-0 tank, designed by H.A Ivatt, updating a Patrick Stirling GNE design. It was built in 1899 by Sharpe Stuart & Co and survived all grouping and nationalisation, where it was given the number 68846 by BR. Withdrawn in 1959, its preservation story is now legendary. It was preserved by Captain Bill Smith in 1959 and became the first locomotive to be privately preserved from BR. In 1980 it was donated to the National Railway Museum as part of the national collection and resides at the Shildon outpost of the NRM. The 7.28 am Leighton Buzzard to Luton Bute Street train arriving at Luton Bute Street on Saturday 30th June 1962. 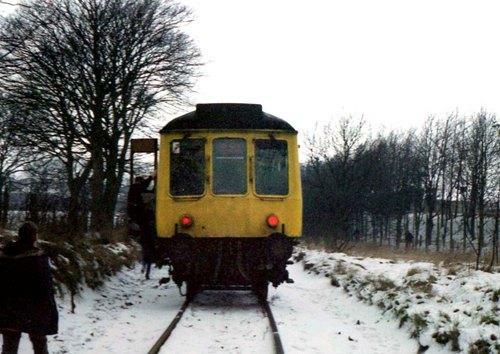 This was the last day of passenger services between Leighton Buzzard and Dunstable North. The view is from the Luton station footbridge. The huge goods warehouse is seen on the left. One of the goods yard sidings passed right through the building. 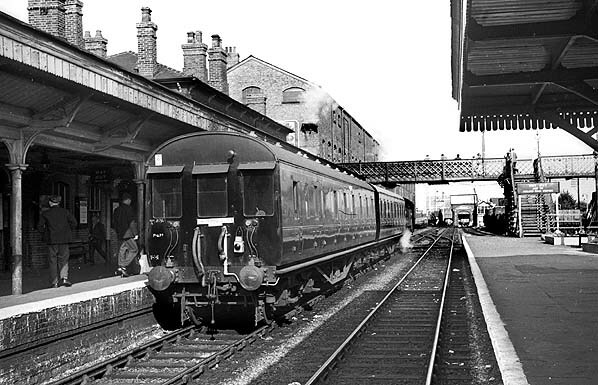 The 8.25 am train to Leighton Buzzard leaving Luton Bute Street station on 30th June 1962, the last day of passenger service between Dunstable North and Leighton Buzzard. Luton Bute Street station forecourt in the early 1960s. 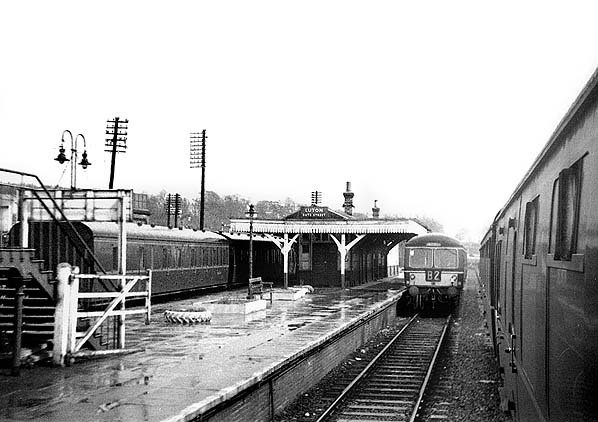 A wet day at Luton Bute Street station looking east in April 1965. 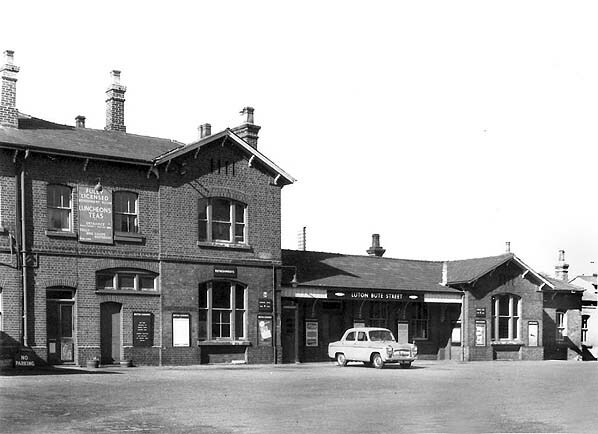 Luton Bute Street station west in May 1968. Luton Midland station is seen far right. 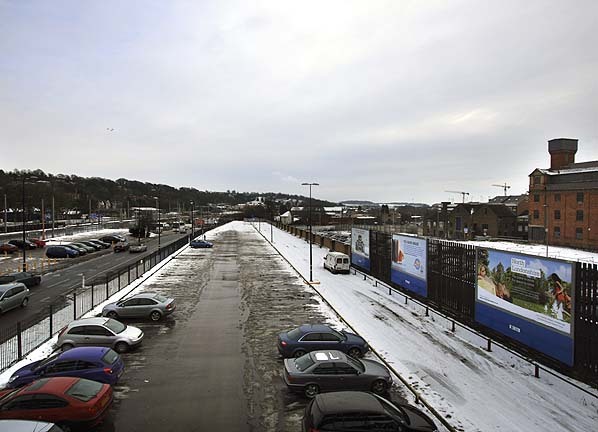 The site of Luton Bute Street station looking east from the station footbridge in December 2010. The Luton - Dunstable busway will use the road on the right. 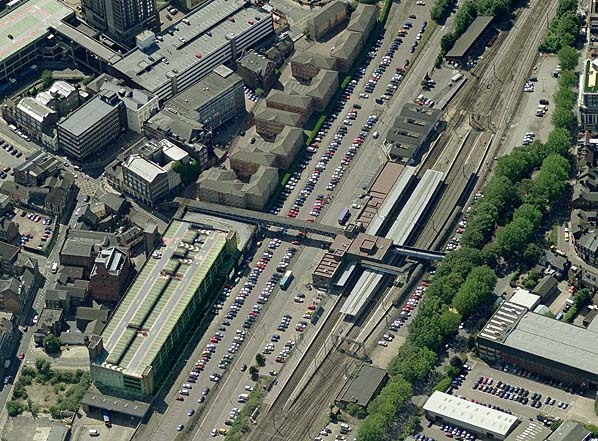 The site of Luton Bute Street station c.2005. 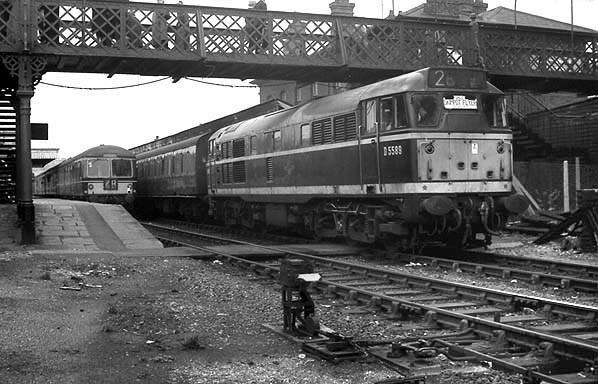 Luton Midland is seen on the right. The blocks of flats at the top stand on the site of the goods warehouse. The large building bottom left has now been demolished.